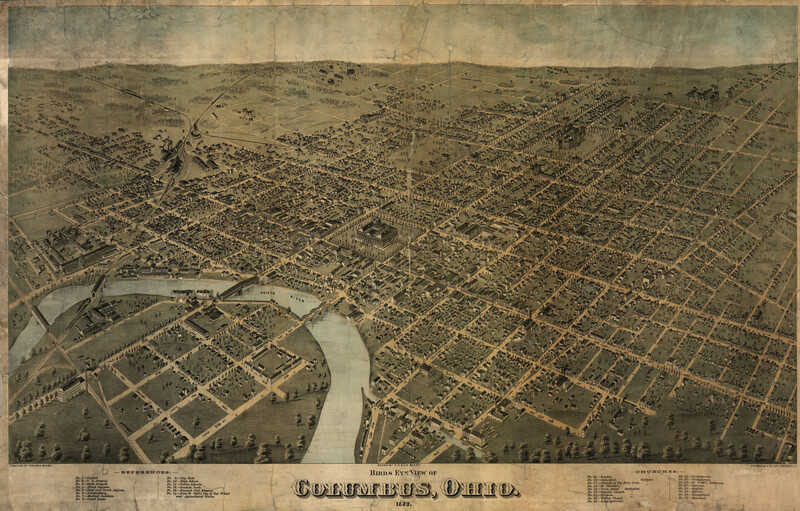 A badly-weathered but stately and handsome birdseye of Columbus, Ohio [gmap] by Bailey from 1872. 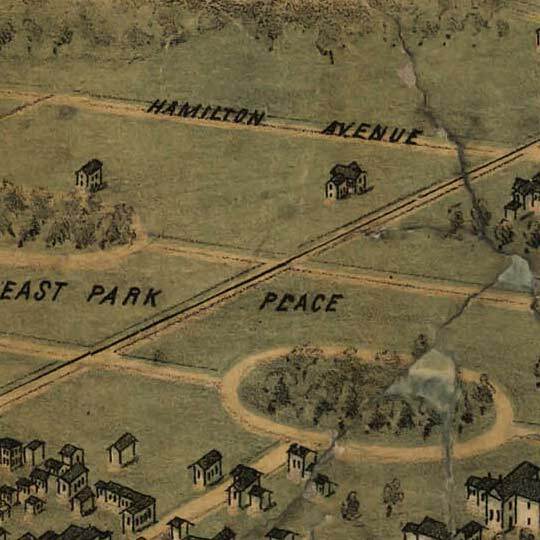 For more map resources and imagery from this period in Columbus's history, check out the Ohio Historical Society's website. Interested in Columbus Map as print. what sizes and price avail? What are quality concerns?